Pre-exposure prophylaxis (PrEP) is the use of antiretroviral medication to reduce the risk of acquiring HIV. This medication is called Truvada, and it’s associated generics. If taken everyday this medication significantly reduces your chance of acquiring HIV. 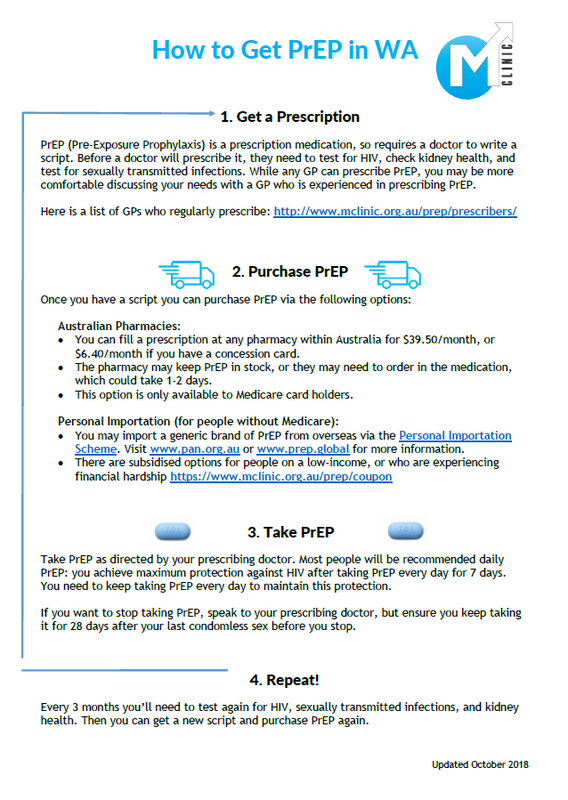 The below video gives a good overview of PrEP – but please note that the information regarding access to PrEP differs for Australia. Australian Pharmacy (PBS) Requires a prescription. Personal Importation (for people without Medicare) Requires a prescription. Check out our fact sheet for more information.